Koekelberg (French pronunciation: [kukəlbɛʁ(g)]; Dutch pronunciation: [ˈkukəlˌbɛrx] ( listen)) is one of the nineteen municipalities of the Brussels-Capital Region in Belgium. 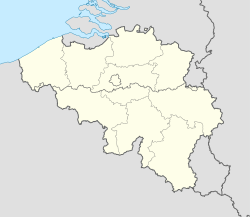 It is bordered by Ganshoren, Jette, Sint-Agatha-Berchem and Sint-Jans-Molenbeek. On January 1, 2006, the municipality had a total population of 18,157. The total area is 1.17 km², which gives a population density of 15,486 inhabitants per km². In common with all the Brussels municipalities, it is legally bilingual (French–Dutch). 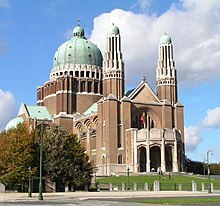 The municipality - the smallest in the Brussels region by population - is dominated by the Basilica of the Sacred Heart (or Koekelberg Basilica), one of the largest Roman Catholic churches in the world. This page was last edited on 6 December 2018, at 06:18 (UTC).